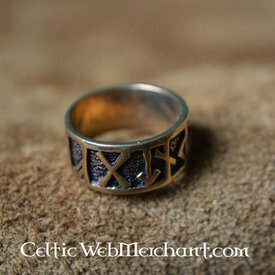 This ring is a replica of an original excavated in Northern England. 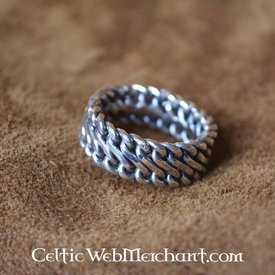 Rings like this were worn all over Northern Europe. 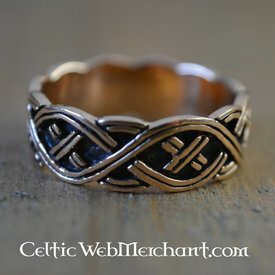 This ring shows 16 different runes (the rune alfabet). 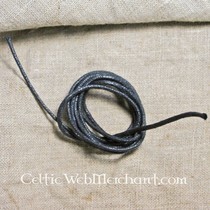 The ring is completely handmade of bronze and suitable for fingers with a ring size of 60 up to 70.